The Evolution Rear is constructed from 10 Gauge flat plate steel and retains the truck’s factory tow package. 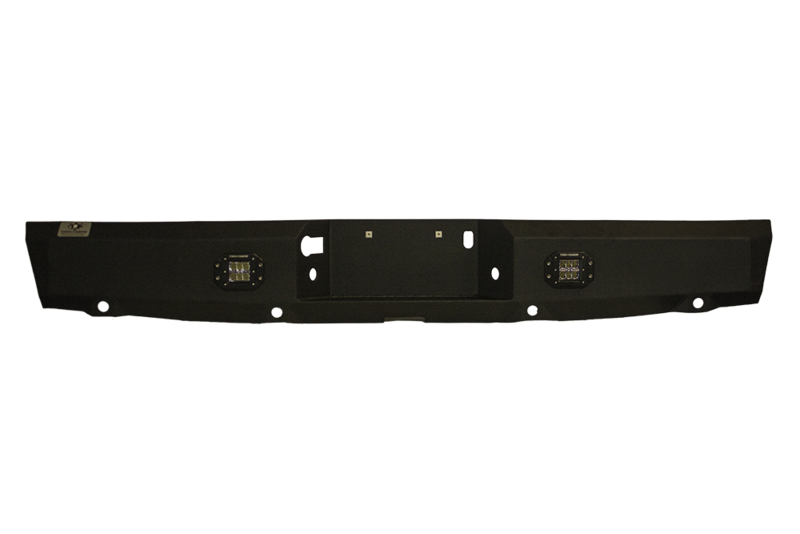 This bumper comes standard with a black wrinkle powder coat finish, and side step for easy bed access and comes pre-cut for flush mount LED lights. “…Same industrial strength powder coat finish as standard high gloss black finish with the added benefit of matching your vehicles color or giving you something truly unique…” Custom Colors Include: Black Wrinkle, White Gloss, Silver Vein, Bed Liner & Primer Only.